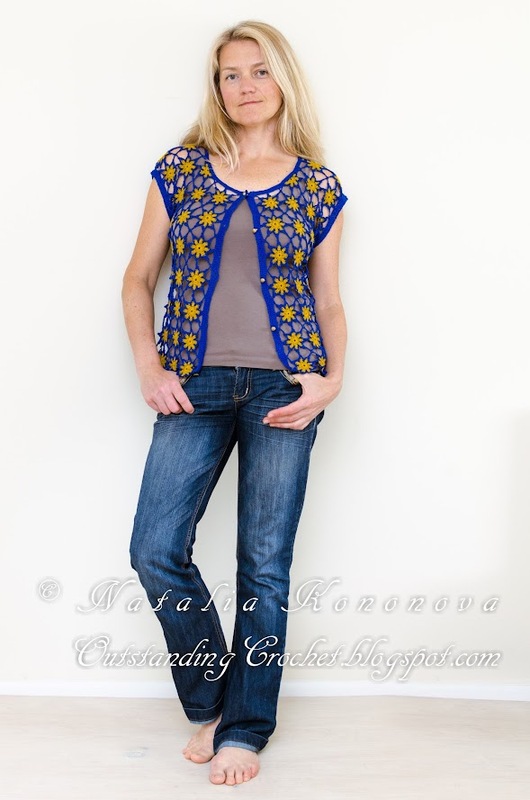 Outstanding Crochet: My new project. 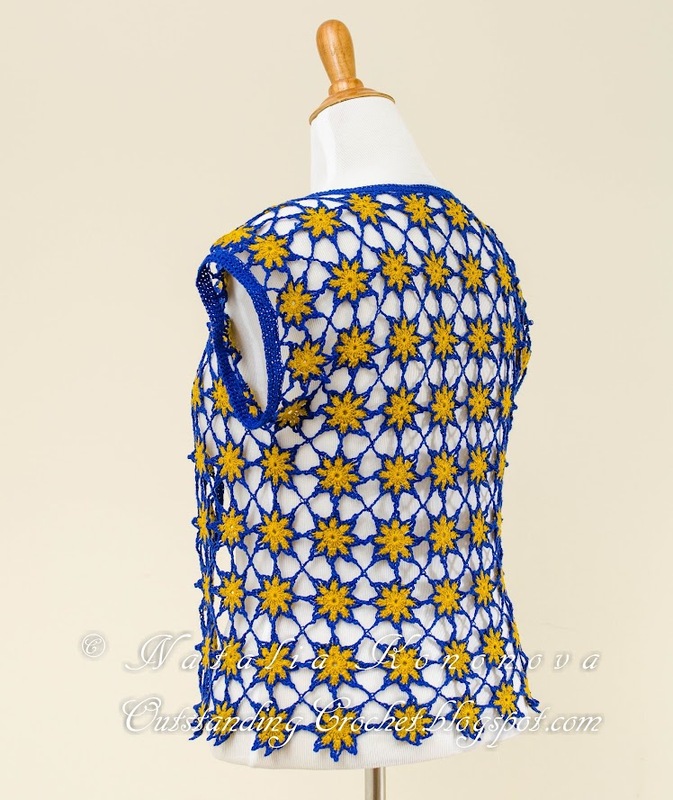 Royal Blue/Mustard Crochet Top Pattern. My new project. 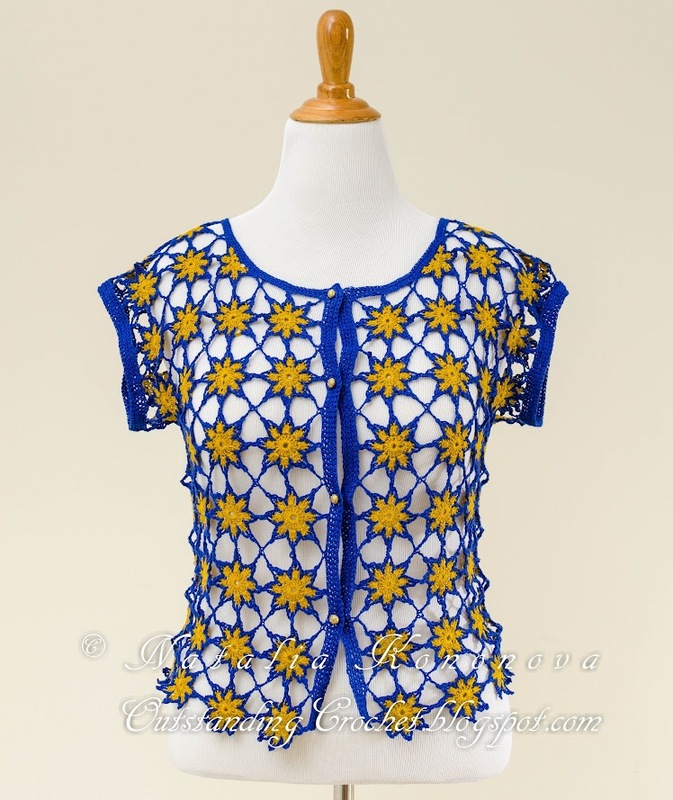 Royal Blue/Mustard Crochet Top Pattern. Pattern is in the progress. This lovely linen thread can be found at YarnStories. I used 4 ply, it's a bit thicker than #10 thread. 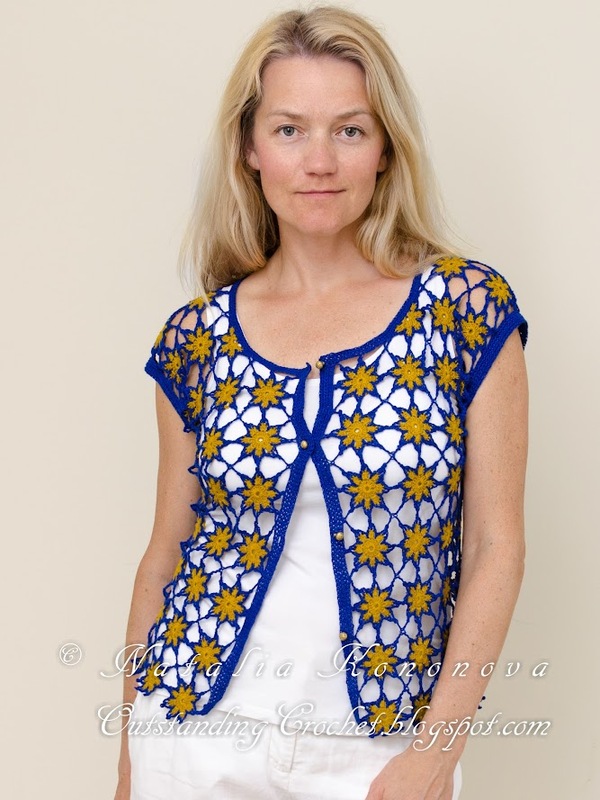 Wow, Natalia this is fantastic top!!! Thank you, Kate! I forgot to refer to your store! Fixed. 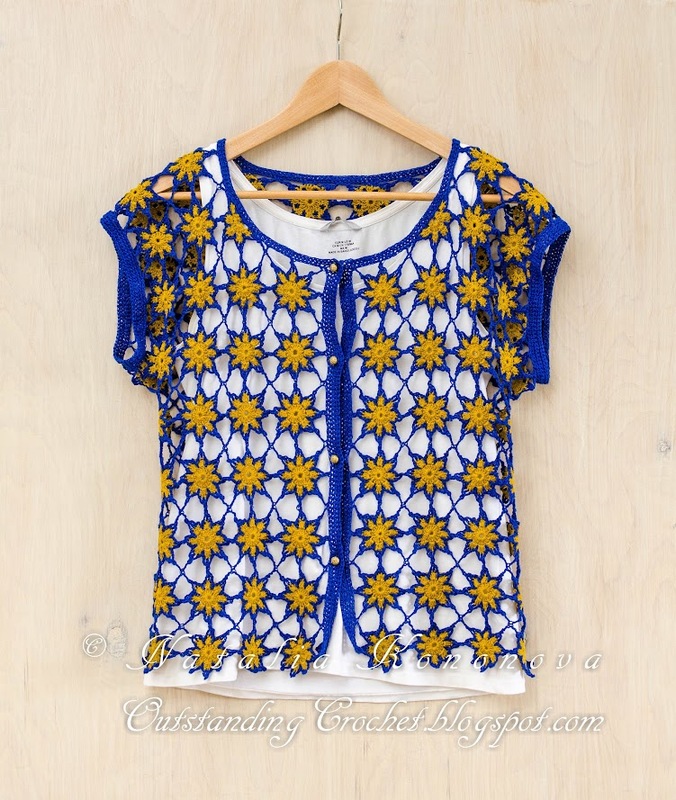 And I just love the straight crochet edges around the round motifs. This is the thing that gives the final shape.